Ms. Nasser's Art Studio: Contour Lines in Complementary Colors! How can we use planning or drafts in art to influence our final work? Second grade artists are building on their contour line skills to create bicycle drawings from observations. In the process, they discovered it all starts with a plan! 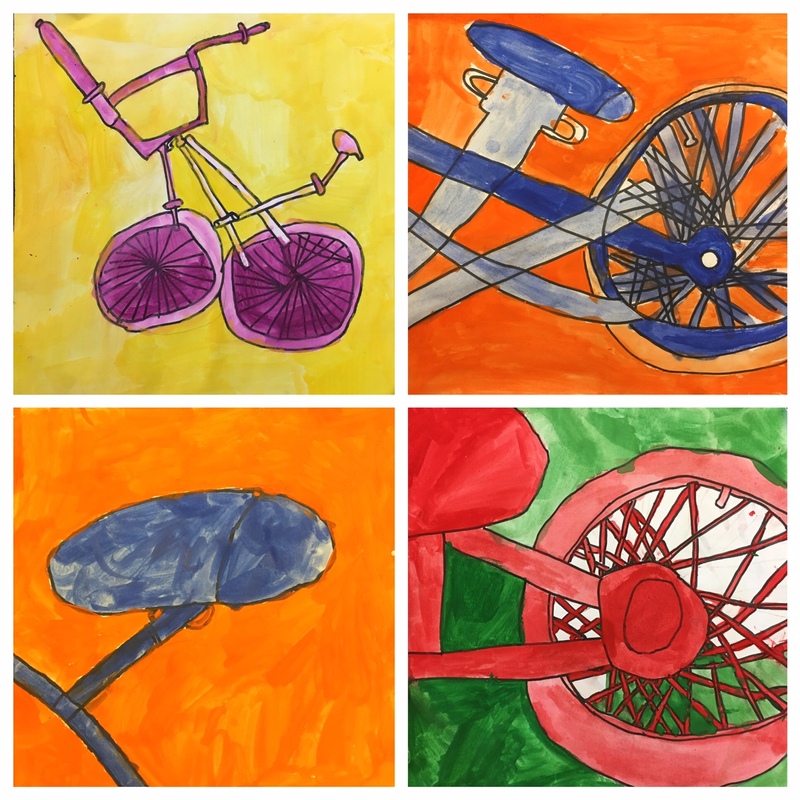 Their challenge was to zoom in on a section of the bicycle and draw that using contour lines. View finders were a huge help for this task. These budding artists honed in on their observation skills - it was so fun to watch! Students also learned to use planning sheets as a tool to brainstorm their ideas and practice sketching first. These thumbnail sketches then were developed into their final drawings. Its visual brainstorming at its best! Finally, these 2nd graders had a lesson in complementary colors as they had to choose 1 pair to use for their final artwork. It was tricky creating different values of their two colors to make sure their paintings had interest. I think they did great! What do you think of their final work?